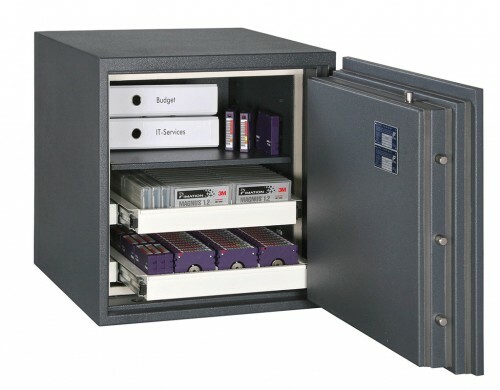 Traditionally, safes were designed to provide a single kind of protection. Some guarded valuable items against theft, others were designed to protect documents from fire, while others provided heat resistance for fragile computer media such as CDs and hard drives. But with the mix of important paperwork, valuable electronics, and vital personal digital information that are now a part of everyday life in the home or office, modern safes must provide varied kinds of protection. Cash and valuables are kept safe from thieves, as are personal documents and electronic information that might be used as part of an identify theft. The same items are also protected from temperatures as high as 1000° Celsius, as the Firesec offers a certified 60 minutes of fire resistance. As an assurance of its quality and protective abilities, the Firesec 4/60D range has been tested by the ECB-S to the EN 14450 S2 burglar resistance standard. During this test, the safe is subjected to attack by expert safe breakers. The Firesec 4/60D carries a cash rating of £4,000, making it ideal for use at home or in the office. Combined with its fire resistant abilities – certified to NT FIRE 017 for Data – the Firesec 4/60D is particularly suitable for storing valuable electronics that are easy targets for thieves and easily damaged in a fire. Electronic locking is standard on the 4/60D. The large keypad makes the locking mechanism easy to operate. A biometric lock can also be fitted for increased security. Available in four sizes ranging from 118 litres to 587 litres, the Firesec 4/60D comes with adjustable shelving. 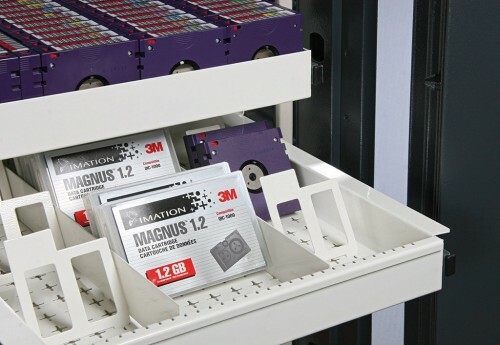 Pull-out shelves and disk trays are also available as optional extras, perfect for keeping digital media organized. Fully approved by the Association of Insurance Surveyors, the Firesec 4/60D offers 3 levels of protection in a single stylishly designed unit.